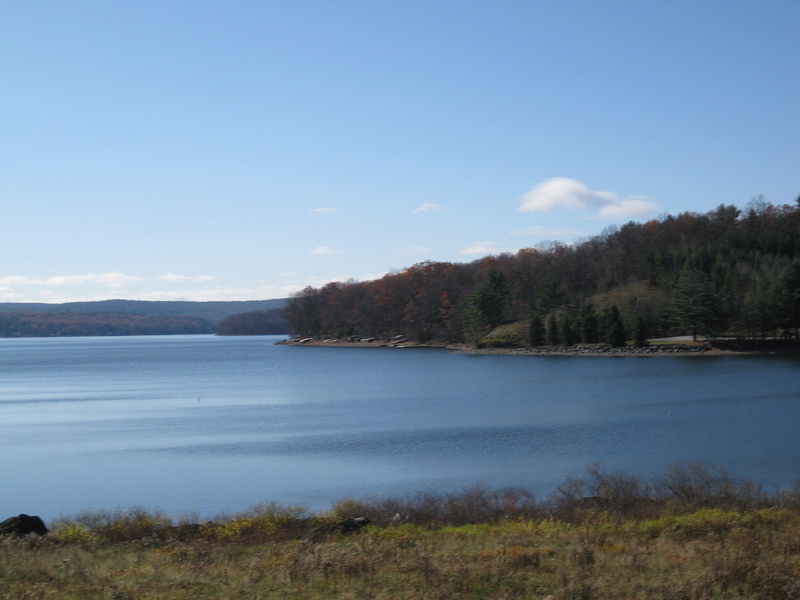 Lake Wallenpaupack is a freshwater lake in northeastern Pennsylvania and a major recreational attraction in the Pocono Mountains. The lake is surrounded by hundreds of acres of forests with trails to walk or hike and wildlife to view. If you like variety, this is the place to fish for bluegill, walleye, muskellunge, northern pike, pickerel, trout, catfish and yellow perch, among others. You’ll see people boating and swimming as well as fishing in the summer. In the winter, ice skating and ice fishing—and ice golfing. Really. Every year, there is the “Ice Tee Golf Tournament,” nine holes of golf on the frozen lake. For fans of The Office, Lake Wallenpaupack “starred” in the “Booze Cruise” episode in the second season.